Manitoba is switching to "single envelope" funding of Child and Family Services agencies instead of making per-child payments, the province says. Manitoba is switching to "single envelope" or block funding of Child and Family Services authorities instead of making per-child payments, the province says. 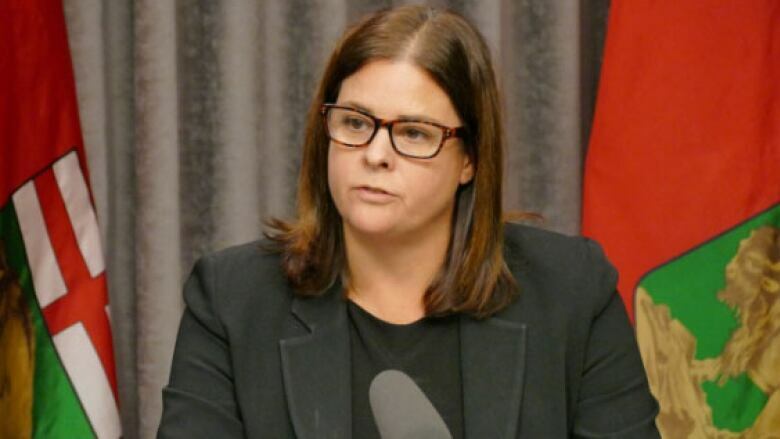 Under the new system, the four authorities that oversee Manitoba's Child and Family Services agencies will get a total of $435 million — which includes the federal children's special allowance — in 2019-20, Families Minister Heather Stefanson said. They will retain the federal children's special allowance, distributed by Ottawa to provincial organizations that care for children, Stefanson said, as part of the $435 million promised for 2019-20. Manitoba has been criticized in the past for compelling agencies to give that money to the provincial government, which called it a "duplication" of its funding. "It's more autonomy for the authorities to decide where the money goes and how they spend that money," Stefanson said Monday. "This should result in more funds being available for authorities within the CFS system," she said. Sandy Bay Child and Family Services was one of eight agencies that participated in the pilot project. Executive director Richard De La Ronde said the flexibility is good and allowed the agency to put resources in place for struggling families, and to keep kids at home for less than the cost of foster care. But when there were occasional spikes in the number of kids in care, the funding wasn't enough. "Part of the pilot project was supposed to be the development of a contingency fund that agencies would be able to access if they were spending more money than they were getting through the block," he said. More than 10,700 children were in care in Manitoba as of March 31, 2018. Almost 90 per cent were Indigenous. The province has the highest per-capita rate of children in care in Canada and apprehends about one newborn a day. Details of the new, "single envelope" model have yet to be ironed out, Stefanson said, including how much money will go to each of the province's four authorities: the First Nations of Manitoba CFS Authority, the General Authority, the Metis CFS Authority and the Southern First Nations Network of Care. Discussions with authorities about what services will be included under the agreement began Monday morning, the minister said. The Manitoba Metis Federation says the dialogue should have started earlier. The federation isn't against block funding in principle, it wrote, but it said the province's model doesn't provide enough funding to meet children's needs. "What is missing in this announcement is the consultation with Indigenous Leadership and their oversight," federation president David Chartrand. "We are looking for clarity. No different than when Manitoba asks for clarity about funding from the federal government. Today, we had a single phone call from the Minister and she made a prepared statement, a 'fait accompli.'" Manitoba Opposition NDP Leader Wab Kinew said the model creates the possibility for less funding per child if the annual allotments don't increase in keeping with apprehensions. "This is about controlling costs, it's not about helping kids," he said. "You could even see inequalities within an authority, even across agencies, depending on how the block is split up." "We work in a system that is devolved already," she said. "You'll see the second stage of that devolution process today, frankly, with giving more authority and autonomy to the authorities to manage the child welfare system within our province. So anything that enhances that I think is a good thing for Manitoba." Sandy Bay is also one of six Manitoba First Nations that is suing the province over what it deems "illegal" clawbacks of the children's special allowance, often used for supplemental costs like programming and cultural activities. The province said that funding is built in to this new model. De La Ronde says he needs more details about how this will work. "I'm a big supporter of block funding, Sandy Bay is, just because of the flexibility ... but there were issues that were not addressed during the pilot projects. I'm excited about the [children's special allowance] and maybe just getting back to some dialogue with the province," he said. "That all sort of halted in April when we filed our lawsuits. So I'm looking forward to seeing … these things get us all back to healthy conversation that was happening back in April."